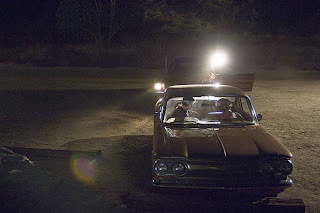 Zodiac, like his earlier Seven, happens to be a terrific achievement for David Fincher for the simple reason that, despite being in essence a serial killer movie, it has managed to be far more than the narrow conventions of the genre. Based on the unsolved case files of a cryptic real-life serial killer called Zodiac who left a trail of bodies in the 60’s and 70’s California, the movie follows the consequent effects on the lives of four individuals – a geeky cartoonist working for San Francisco Chronicles (Jake Gylengall), a cynical and alcoholic crime reporter (Robert Downey Jr.), a quietly competent police detective (Mark Ruffalo) and his soft-spoken partner (Anthony Edwards). Intensely moody and insanely gripping, it is an incredibly dark, meticulous and compelling examination of human obsession, and a chilling account of the publicity-crazy society we live in. Despite what the plot suggests, violence plays more of a thematic role than a physical one (most of the time existing just outside the camera’s vision); thus what has emerged is a riveting character study that is far more cerebral than the kind of visceral movies we’ve come to expect from Fincher. The movie has benefited immensely from the exceptional, tour de force performances by the lead actors, and the interactions they share onscreen. The soundtrack does very well in capturing the zeitgeist of the times, and the brilliant atmospheric visuals make for an exhilarating viewing experience. p.s. This happens to be my 300th review here. Let me raise a small toast to that. Fatih Akin’s The Edge of Heaven is a morally and psychologically complex tale on human nature – the inherent fallibility in human character, and his futile attempts at reconciling with his life and love. Given that Akin is of Turkish origin, but was born and brought up in Germany, political and cultural diasporas of both the countries form the perfect setting for the rich, temporally fractured tale of three sets of unconnected parent-child pairs brought together through subtle interventions of ‘fate’ – a short-tempered hard-drinking Turkish immigrant and his quiet, educated professor-son; a prostitute living on the streets of Hamburg and her anarchist daughter who’s part of a radical political outfit in Turkey; and, a disapproving German lady and her rebellious daughter. Coincidence plays a strong role as the six fiercely independent yet lonely individuals (incidentally or accidentally) embark a tragic collision course through the vicious cycle of love, loss and their various repercussions. Continuing on the theme of death and bereavement, the emotionally charged movie is gritty like Head-On (though certainly not as much), with an elegiac tone that is deeply affecting. 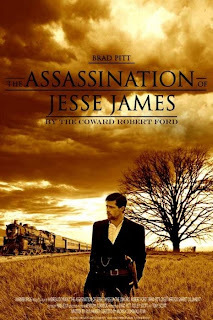 The acting, it ought to be mentioned, is very good without ever being flashy or spectacular. Clerk is a rapturous, mightily engaging film with distinctly arthouse sensibilities. Boldly experimental without ever being inaccessible, newbie director Subhadro Choudhury has shown the kind of audacity you’d generally expect from a seasoned filmmaker, and the remarkable ability to probe deep into the troubled and complex psyche of his protagonist. The movie stars Prosenjit Chatterjee, in what could be one of the most telling roles of his career, as Biplab – a (possibly schizophrenic) man with a ‘Dr. Jekyll/Mr. Hyde’ kind of dual personality. By day he is a laconic, mild mannered employee in a fast-crumbling company – the kind of ‘chhaposha’ or very ordinary, middle-class Bengali man you wouldn’t look twice at if you were to meet him on the street. However, when this severely lonely, friendless man returns to his small, seedy, decrepit apartment, he gets enmeshed in a fantasy celluloid world, where, over a few drinks, he involves himself in long lovelorn monologues with popular film actresses. The film’s surreal storyline has been superbly aided by its mesmerizing cinematography – the dark, phantasmagoric, hallucinogenic interiors of Biplab’s otherwise dank apartment makes for a memorable and sensually arresting viewing experience. First French film by acclaimed Taiwanese filmmaker Hou Hsiao-Hsien, Flight of the Red Balloon was inspired by and is a loving homage to Red Balloon, the much loved 1956 short film by Albert Lamorisse. True to that short, a red balloon forms the motif and the quiet driving force for this restrained and tender look at a Parisian family. The movie opens with Simon, a seven year old kid, trying to woo the balloon to come within his grasp, but he fails despite his best efforts. As we are slowly introduced to his family, comprising of him and his mercurial single mother (expertly played by Juliette Binoche), we think of, at first glance, any other quotidian family. But we soon realise that the first scene was a subtle summation of the family too, where undercurrents of failed hopes and dreams are just about masked by a seemingly ‘normal’ exterior. Like good French wine, this leisurely-paced, contemplative and emotionally rich arthouse character-drama too slowly yet surely grows onto its viewers. The wonderfully soothing cinematography and the melancholic classical-based soundtrack add to the beauty and pathos permeating the movie. Werckmeister Harmonies, made by master filmmaker Bela Tarr, isn’t really a movie to everyone’s taste, what with its lumbering pace, non-narrative structure and complex philosophical overtones. Nevertheless, I feel everyone must give it a try, even if it’s just for the experience. 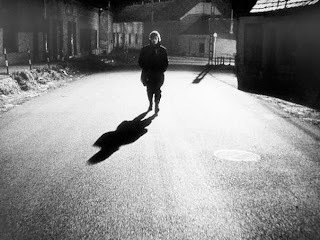 As bleak and disturbing a movie as the frozen Hungarian town in which it is set, the movie follows our protagonist Jancos (perhaps a stand-in for the auteur himself), a soft spoken and gullible young man, who works at a post-office and also runs errands for an elderly researcher on music. He marvels at the cosmic harmony in our universe (the opening ‘bar’ sequence is something to be watched to savour) and stares with wide-eyed wonder at the strange bounties ushered by ‘God’ on earth. Meanwhile, the ominous arrival of a traveling circus show has led to the growing murmur, madness and chilling mayhem in the otherwise peaceful-looking town. Set to a haunting, though sparsely used, score, the movie managed to mesmerize and spellbind me with its austere yet devastatingly beautiful black-and-white photography. The most awesome aspect about this epic lies in its brilliant use of gargantuan long-takes (including ones lasting over ten minutes!) that, on one hand, display audacity of the rarest kind, while on the other, intoxicate the viewers by teleporting them right to the desolate, near-surreal landscapes. The epithet used most often to depict Danish auteur Lars von Trier is ‘provocateur’. Because of it, or perhaps even despite it, his most defining feature, for me, is that I find each movie of his as unique, as daring and as distinct as his other movies that I've watched. Yes, in Dogville too there’s a woman suffering at the hands of her tormentors/ circumstances as in his Breaking the Waves, Dancer in the Dark or Antichrist. What sets this epic film apart are the stripped-off art décor and set pieces that have given the movie the look, feel, aesthetics and character of a stage play; so does the narrative, which has employed extended, at times rambling, but downright brilliant voiceover of John Hurt, coupled with the deliberately theatrical acting of the terrific cast – Nicole Kidman, Paul Bettany, Stellan Skarsgard et al, to tell the downbeat, philosophical, provocative and Biblical story of societal hypocrisy and double standards. 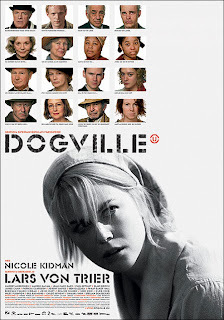 Nicole Kidman, as Grace, an enigmatic woman on the run who seeks refuge in Dogville, a small mining-town in Depression-era America, doesn’t just look ravishingly beautiful, but also fragile and vulnerable, in one of the most nuanced performances of her career. Pictures of that tragic era, shown during the end credits, are extremely evocative. Their first directorial effort since the much acclaimed The Son, Belgian brothers Jean-Pierre & Luc Dardenne’s L’Enfant is a more emotionally charged and less morally ambiguous, albeit as psychologically complex tale when compared to the former. Filmed with the kind of stark and grim realism that has become a hallmark for the Dardenne brothers, the movie comprises of a strong social commentary in the story of Bruno, a young small-time hustler who realizes the kind of reverberations that an act of utter ethical and moral callousness – th of selling his new-born baby in the gray market, can cause. His comeuppance becomes really profound not just because Sonia, his girlfriend and the baby’s mother, is expectedly mad at him, but because, perhaps for the first time in his life, he is having to face the immaturity and irresponsibility that have come to define his very existence. Thus, by the time of its powerful final scene, Bruno has become a more rounded person from being just another surface-deep crook. The acting of the two principal leads has helped in exploring the moral chaos that typifies life in a colourless urban jungle. As with The Son, the movie has been filmed in an unspectacular cinema verité style and is devoid of any background score – as if the Dardenne’s camera is just a silent bystander observring life. 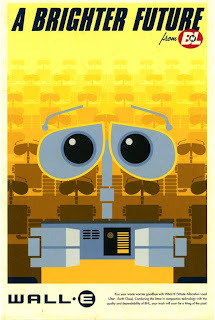 WALL-E is rated by many a film critic as Pixar’s best work till date. Pixar has established such a reputation with its groundbreaking behind-the-scenes work that one has almost come to take technical virtuosity in their movies for granted. Hence, suffice it to say, WALL-E doesn’t really surprise in that its 3-D animation is a visual delight. Nonetheless, it still managed to be exhilarating by slightly raising its already exalted standards. But what really interested me most was the level of maturity displayed. In fact, the first half-hour of the movie, which is sans any vocals, is, on one hand, a unique and enthralling visual poetry in motion, and on the other, a quietly disturbing view of a dystopian, post-apocalyptic future where the earth is filthy, desolate and uninhabitable. All we see is ‘Waste Allocation Load Lifter – Earth Class’, aka WALL-E, a Chaplinesque robot, quietly going about compacting garbage, and striving to preserve few moments of solace and serenity in its otherwise mundane existence. And then he (it) falls in love with an Extra-terrestrial Vegetation Evaluator, resulting in some hilarious gags. Only when ‘humans’ come into the picture does the movie veer towards a cartoonish setting and a more traditional kind of storytelling, which is even heavy-handed at times, thus causing (quite regrettably) the initial brilliance and the ensuing wonderment to sag considerably. Aparna Sen was a successful Bengali film actress, and has transitioned as one of the most respected directors of India. Though not very prolific in her output, she has made up with sheer quality, with Paromitar Ek Din ranking as one of her finest directorial efforts. The movie opens with Paromita attending the final services of her former mother-in-law Sanaka, and as memories start filling her mind, elaborate flashbacks are used to reveal her marriage into the family, the slow disintegration of her marriage, and the simultaneous burgeoning bond with the severely lonely Sanaka, over a period of 14 long years. Observant, sensitive, nuanced and profoundly affecting, the movie has managed to capture the various layers that define human relationships – one’s inherent loneliness, fleeting moments of platonic friendship, and the numerous moments of heartbreak that lie in between. Brilliant, devastating performances by Rituparna Sengupta as the serious and reserved Paromita, actor-director Aparna Sen as the Paan (betel leaf)-chewing Sanaka, and Ray favourite Soumitra Chatterjee, as Sanaka’s quietly melancholic childhood friend, and the terrific, elegant cinematography which has managed to capture the distinct flavour of North (old) Calcutta even though nearly the entire movie occurs inside the family’s ancestral home, played their parts in making this an exquisite human drama. 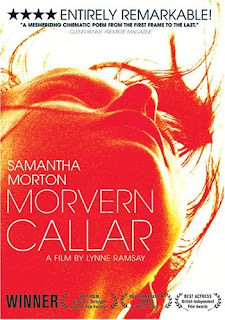 Morvern Callar, Lynne Ramsay’s follow-up to her acclaimed debut feature Ratcatcher, a hauntingly beautiful, intensely moody (even angry, if you will) and highly visceral poetry on celluloid. Only that, unlike the latter, lyricism has been replaced with a more grimy approach, thus making watching the movie a strangely liberating, albeit claustrophobic experience. Morvern Caller (played with astounding subtlety, maturity and fearlessness by Samantha Morton), is a working-class girl who, one not-so-fine day, wakes up in her apartment to find that her boyfriend has slit his wrists and is lying in a pool of blood. However, contrary to how one would expect her to act a situation such as this, in a case of reverse nervous breakdown, she decides to start “living” her life by going on a vacation with her best friend to Spain, and even decides to pass off her beau’s unpublished novel as her own. Ramsay has displayed tremendous confidence in her ability as a visual storyteller by presenting the disquieting and emotionally naked tale of existential grief and angst with a barrage of psychedelic images and lighting, sprayed with an intoxicating expressionistic splash, which in turn have been aided by a superb hip-punk soundtrack. 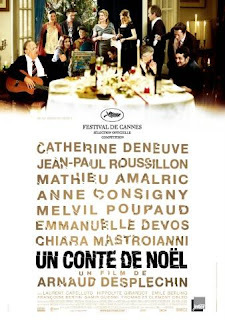 The title of the French movie A Christmas Tale, by Arnaud Desplechin, is deliciously misleading, and reminded me a lot about another brilliant movie, Rituparno Ghosh’s Utsab (The Festival). Both the movies are about the getting together of a large family on the occasion of the most important festival of the respective community (Christmas in the former, and Durga Puja in the latter). However, the inherent joy and celebration surrounding the festivals form the perfect springboard for each director to put the respective family under scanner and open a can of worms in the process. The matriarch of the Vuillard family has been diagnosed with cancer, and hence the entire family – her daughter and two sons, along with their respective spouses and/or fiancé, as well, her nephew, have decided to forget their personal problems and differences for once and celebrate Christmas together at their family mansion. Alas, amidst all the brouhaha and fun, familial strains and conflicts become that much more pronounced in this irreverent, cynical and darkly comic, yet surprisingly humane movie, that hasn’t shied away from making biting observations at topics ranging from alcoholism and unrequited love to illness and death. The acting is wonderful throughout; yet special mention must be made of the stately Catherine Deneuve and the amazing Mathew Amalric.